This offering by Albion Armorers is inspired by a depiction of an early claidheamh mòr like the sword depicted on a grave slab in the Western Highlands of Scotland dated to the early 16th Century.. 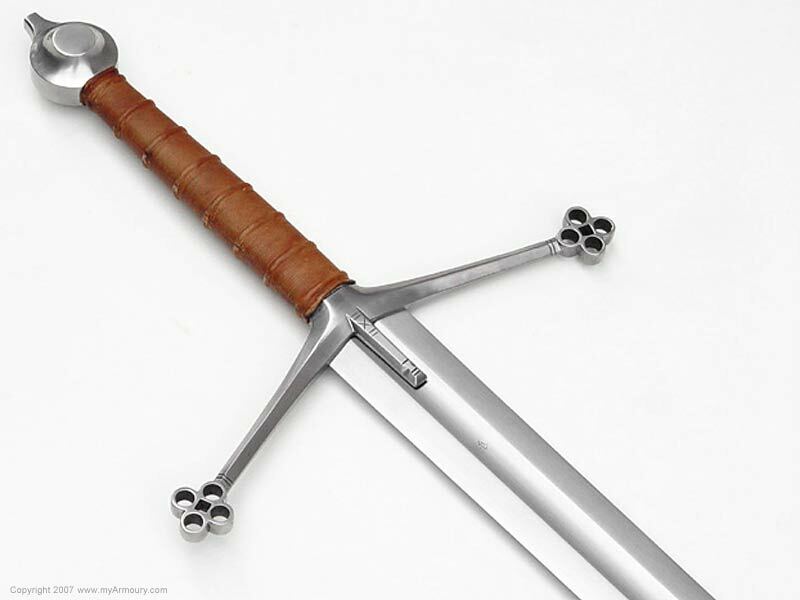 This is a predecessor to the longer claidheamh da làimh common in mid to late 16th Century Scotland. 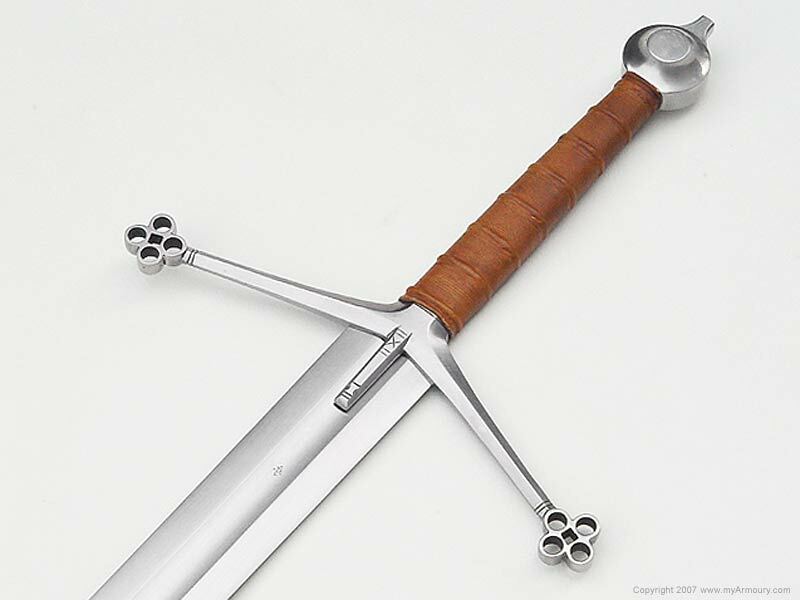 It was a common practice at the time to import and hilt fine quality German blades with sloping arms ending in a quatrefoil design. 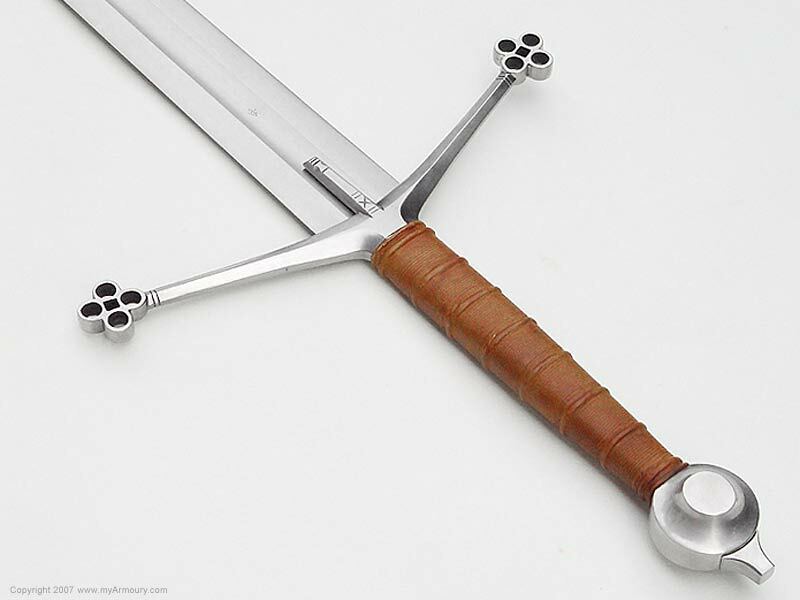 In this design, we also see the beginnings of a langet down the center of the blade from the cross. 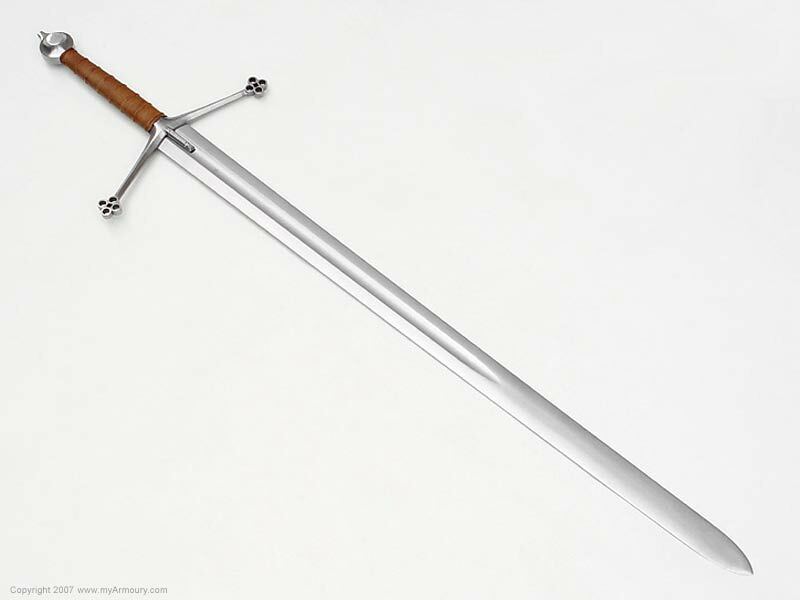 This is most likely a modification of the peaked cross of the Oakeshott Style 8, Style 9, and Style 10 and a feature that is more pronounced in later "models" as the Claymore became longer in both grip and blade. 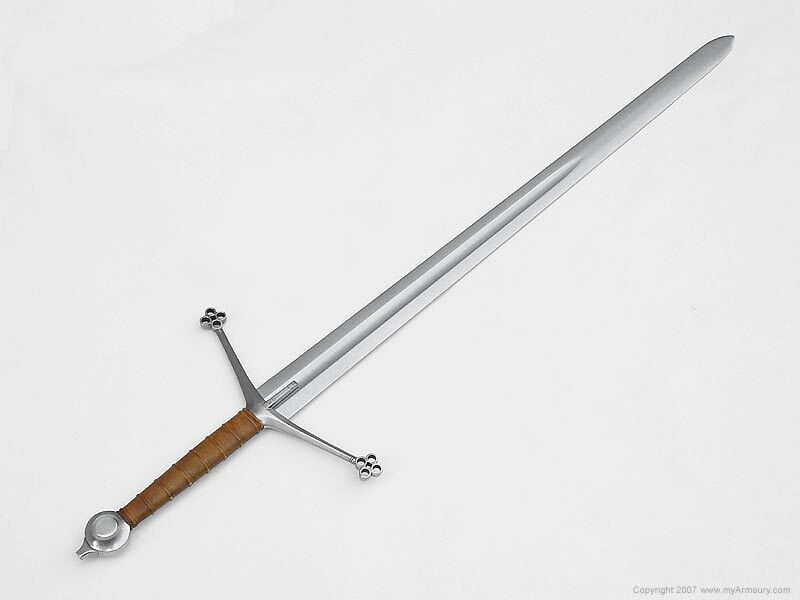 The Albion Chieftain is well executed on the same Type XIIIa blade as the Albion Duke. The major difference is that the Chieftain has a longer grip. 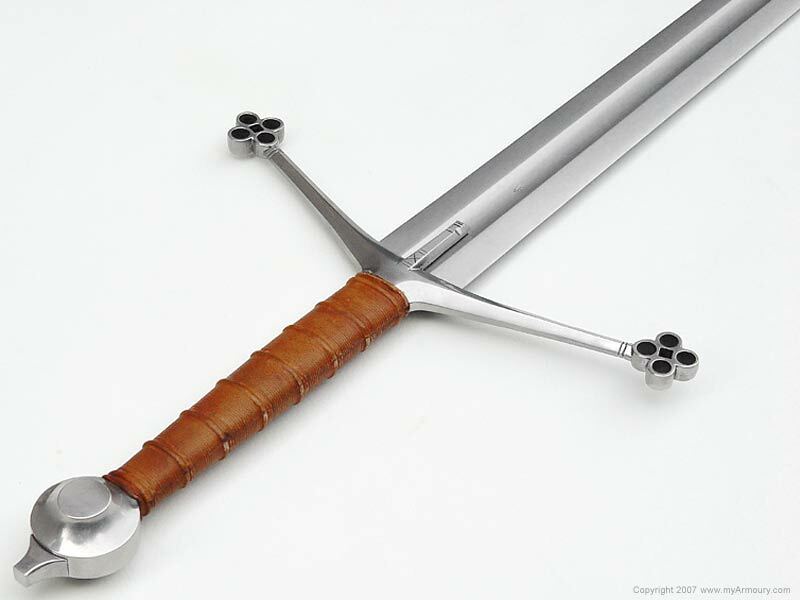 This makes for an agile blade when used in two hands. 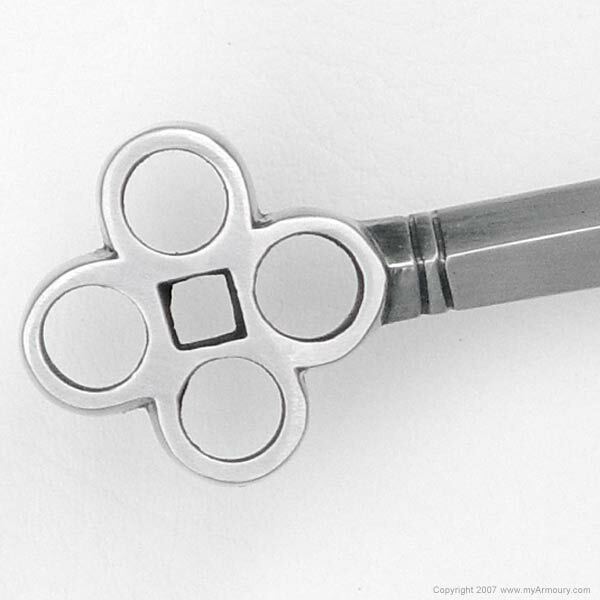 The cross is cast in one piece and then hand finished with engraved markings on the langet and just medial to the quatrefoils. 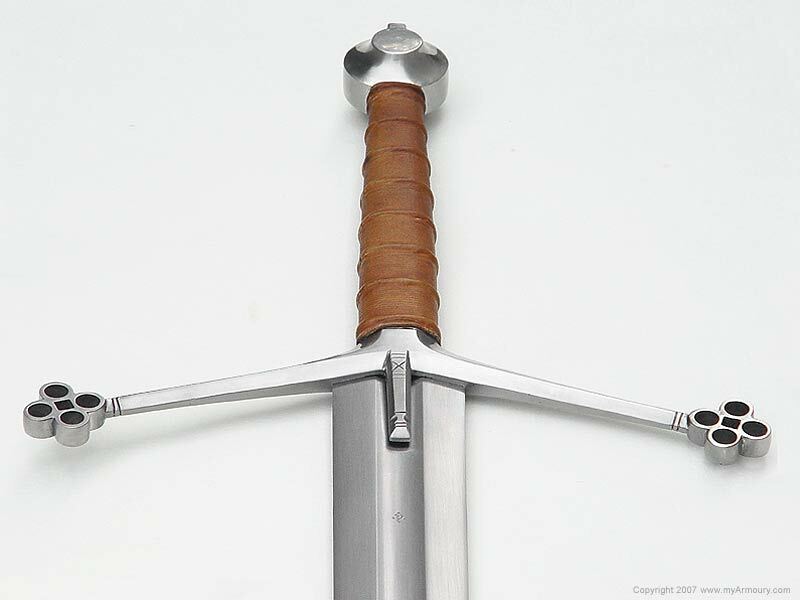 The pommel is Type J with a sloped pommel block that is noted in period artwork for this type of sword. 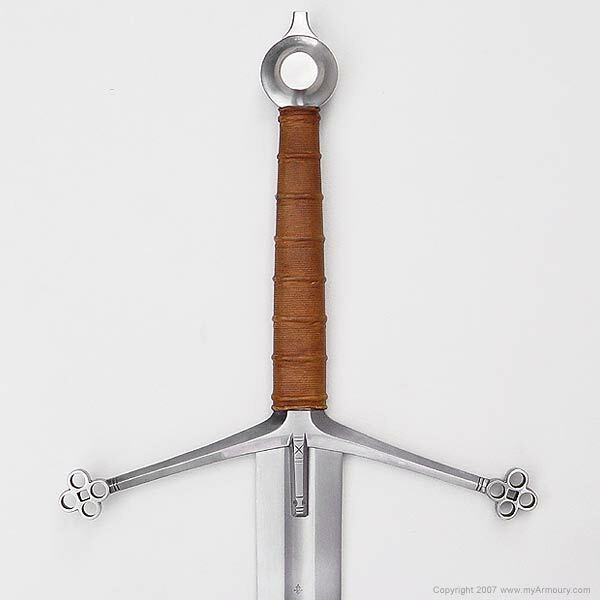 The grip is covered in light brown leather, with eight rings along the grip, which makes for a very stable handhold. Blade: 36" long; 2.13" wide tapering to 1.47"